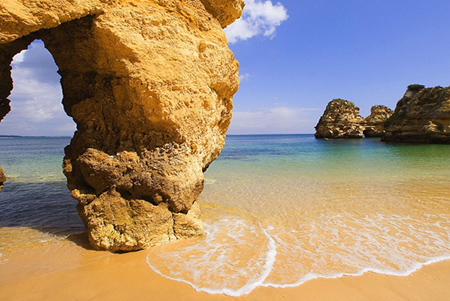 Portugal remains one of Europe's most popular Villa rental destrinations. This land of traditional villages and vibrant cities and beautiful beaches has a landscape strewn with historical treasures and World Heritage sites - natural and cultural wonders that offer a window into this once great seafaring nation. Portugal's lively capital, Lisbon, and its northern sibling, Porto, are magical places for the wanderer, with picturesque neighbourhoods, broad plazas and old-fashioned trams still rattling through the streets. Both cities have their share of enticing urban life, with eclectic restaurants, colourful boutiques, bohemian cafes and stylish nightclubs that make good use of the waterside setting. Stayng in Portugal couldn't be easier. Villa rental in Portugal still remains one of the best ways to reserve you accomodation. Not only keeping the costs down but also giving you the freedom of a home away from home. Outside the cities, travellers can enjoy Portugal's warm sunny weather exploring centuries-old vineyards, visiting stone villages in the mountains or soaking up rays on the magnificent southern shoreline. Dramatic scenery lies all along the coast from windswept cliffs with edge-of-the-world views to wild dune-covered beaches.